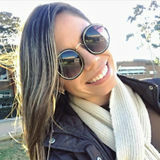 Want to connect with Fernanda? Hey my name is Fernanda. I'm looking for a nursemaid job in San Antonio, Texas. I aim to utilize my abilities as a nursemaid. I will work part-time as required. I am comfortable doing play date supervision, afterschool care, and school pick-up and drop-off. Further, I are willing to travel. I have experience in child care. Call me through this website and I'll reply in a few hours. I am an attentive person, affectionate with the children, I know how to deal well with different profiles of children and always seek to be his friend. I fulfill all the activities passed by those responsible. In Brazil I have enough experience with children. I'm a Christian and married. In Brazil I took care of my 4 nephews, and took care of the Sunday school children. I am a very intelligent and studious young woman. If necessary, I can present a letter of recommendation from Brazilian families.